On her Instagram Moyagraphy, professional calligrapher Moya posts photos and videos of her gorgeous handwriting skills. 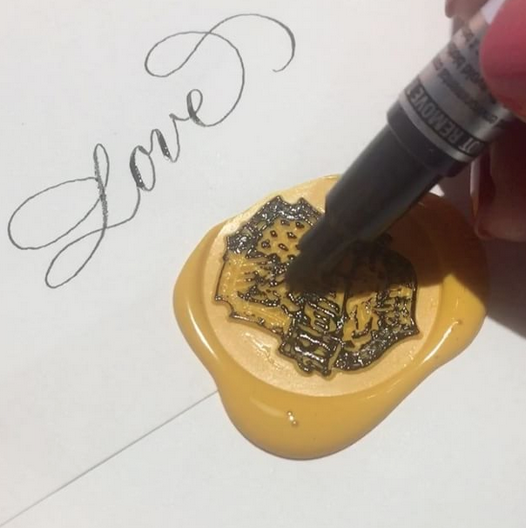 But what I’m really obsessed with are her videos of wax seals being sealed. They’re both soothing and fascinating to watch. You can find more videos on Moya’s Instagram and learn more about her work and/or order her calligraphy services on her website. There’s something very delightful about pressing a nice metal stamp into perfectly cooled wax. The YouTubers at Calligraphy Masters gathered up some of their favorites.